This article was written by Megan Tomlinson, published on 6th February 2016 and has been read 2102 times. Megan Tomlinson is studying Modern and Medieval Languages (French and Italian) at the University of Cambridge, and is spending her year abroad as an Erasmus student at Ca&apos;Foscari University of Venice! Here is her insider guide to living in Venice: how to sort out your accommodation, tips for settling in, unmissable tourist activities, language advice, and things she wishes she&apos;d known before she started her placement in Venice. When I arrived in Venice for my Year Abroad I flew to Treviso airport and got the regular bus from there to the island. The journey takes about 45 minutes, and there is a similar bus to get you from Marco Polo airport, too. My experience with Italy beforehand had been limited to a language course at the British Institute of Florence, but Venice had always been the place I’d dreamed of seeing and was a big factor in my decision to take up Italian at university, alongside French. I arrived late at night in September, which was very atmospheric as it was still warm, with tourists milling around, music playing and vaporetti (water buses) travelling on the Grand Canal. I found my apartment through the Housing Office of Ca’ Foscari, which also provides a limited amount of university accommodation, although these have stricter rules such as curfews. I would definitely recommend trying to stay with Italians if speaking the language is your main goal, as it can be all too easy to get caught up in the ‘international bubble’. Even university staff have a tendency to speak English to you, thinking to make your life easier, and Venice is packed with tourists meaning the majority of Italians speak English quite well. Just keep replying in Italian! The university arranged a lot of welcome events for Erasmus+ students in the first few weeks. We got the opportunity to watch the Regata Storica (a boat race in period costume) from the vantage point of a beautiful palazzo, and Ca’ Foscari also offered a weekend of activities for €130 which included a tour of the city, lots of meals at different restaurants, a beach party and traditional Venetian rowing along the Grand Canal – cue my presence in an endless number of tourists’ photos! I know some people didn’t participate due to the cost, but it was a good opportunity to make friends and get to know the area, plus tickets to several museums were included for me to go exploring on my own time. 1. The Doge’s Palace INCLUDING the Secret Itineraries Tour. This allows you to see a hidden part of the palace: the dungeons (including the cell from which Giacomo Casanova escaped), the torture chambers, and government offices. I would suggest waiting until after the main tourist season for this, as in summertime the queues are ridiculous! 3. The Peggy Guggenheim Collection. This is a modern art collection containing works by artists such as Picasso, and a wishing tree given to the eponymous Peggy by Yoko Ono. It’s worth a visit even if you aren’t overly interested in art, as there’s also a beautiful garden and a café to have lunch once you’ve had a look around. This is an art gallery that joins together three religious buildings, and is also situated right next to the famous bridge. 5. Vaporetti and water buses. The best way to get an amazing view of Venice is a trip on the vaporetto; both day and night give very different perspectives. I would also suggest going beyond the Grand Canal and taking the waterbus to the other islands – Lido has cars which is a strange sight when you’ve been in Venice for a few months, and there is also a beach! At Murano there are beautiful glassworks, and at Burano they make lace and have beautifully coloured houses. If you want a chance to practice Italian in a more structured environment, keep an eye out for emails from Ca’ Foscari (they usually come out in June and December) about Italian courses for international students. If you meet the deadline, you take a quick test to place you at the right level, and the teachers are excellent. There are also paid courses of €100 available for those who miss the deadline, but these don’t give you any university credits. 1. Sadly the Italian bureaucracy nightmare doesn’t seem to be a myth. You will have to wait hours for meetings with staff, weeks for replies to emails, and I even had to wait months for the student card which gave me access to canteens, libraries, and free entry to certain museums (although I was given a piece of paper confirming my enrolment that allowed me to enter the libraries). This card can also be used to set up an Italian bank account, although given my predicament that was postponed, but it wasn’t too much of a problem as there are plenty of ATMs you can make international withdrawals from. 2. Acqua alta (high tide) happens all year round. 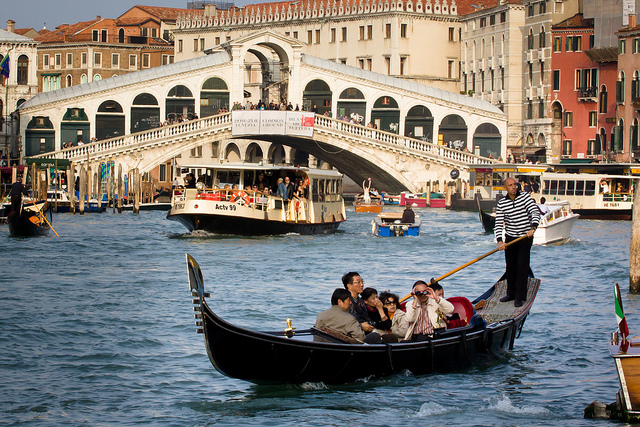 It is more frequent if you live around San Marco, which is a low point in Venice. 3. Queuing is a very British thing. Don’t be surprised if the line you and your friends start to form quickly turns into you standing at the back of a huge mass of people! 4. You will need to get a codice fiscale in order to get an Italian SIM, sign contracts or set up a bank account. All you need for this is your passport, and the building is in Campo Sant’Angelo. 5. 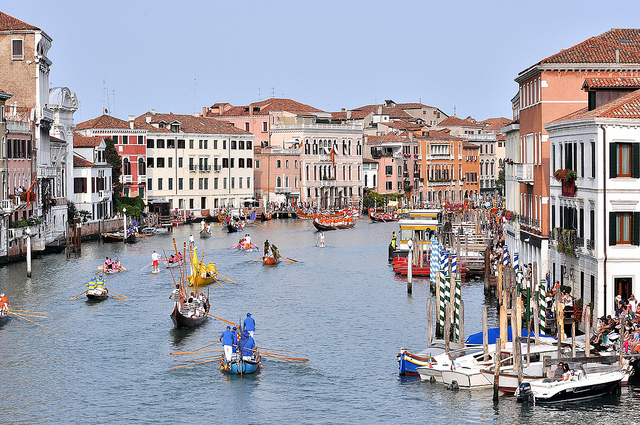 Pack a guidebook for the Veneto. It’s nice to be able to look in the book, find a place you want to go and get on a train. ESN Venezia (on Facebook) is always organising day trips, too. 6. Make sure you have a mask for Carnivale! You can buy them everywhere in Venice, and they help to get in the festival spirit. (Find out more about the Venice Carnival) And eat fritelle veneziane – these treats are only around for a short period of time! Why pick a city other than Beijing or Shanghai for your year abroad in China?